Deciduous teeth Dentistry The 20 teeth of the 1st dentition, which begin to calcify at the 4th month. Cf Permanent teeth. To determine the effects that the timing, amount, and subsequent absorption of toxins and nutrients have on ASD, Mount Sinai researchers used validated tooth-matrix biomarkers to analyze baby teeth collected from pairs of identical and non-identical twins, of which at least one had a diagnosis of ASD. Problems with baby teeth will affect child's permanent teeth###72 (71. It's not unusual for a "It's not unusual for a child to have 12 to 14 teeth child to have 12 to 14 teeth taken out and in some cases we've heard of all 20 baby teeth being removed. She got this idea after a woman who had saved all her children's baby teeth asked her to make a piece of custom jewelry. There are different approaches to managing decay in baby teeth and the FiCTION study will help establish which approach is best of all. How much are kids getting for lost baby teeth these days? One by one the baby teeth fall out until all 28 permanent teeth are in place, usually by age 12 or 13. Like baby teeth sprouting in tiny mouths, baby steps are being taken to reinstate important early oral health care, some prompted by new early-childhood dental health regulations put into place for some federal agencies, including Head Start. 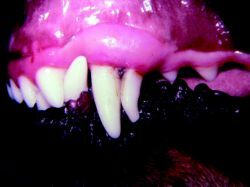 Tooth eruption and exfoliation are the terms given to the normal process of a pet's baby teeth being replaced by permanent adult teeth. One by one, the baby teeth fall out until all 28 permanent teeth are in, usually by age 12 or 13. In a period of four months 701 dental extractions were performed on young children in north Merseyside because their baby teeth were rotten. In particular, some of the preschoolers were denied professional dental health care (by their parents) because of the parents' beliefs about dental health (such as there being no need for children to see a dentist because the children's baby teeth would be replaced by permanent adult teeth).